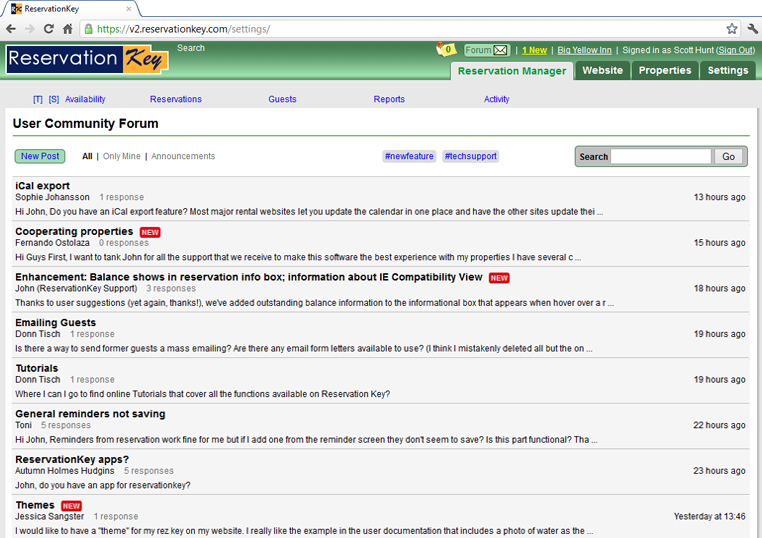 ReservationKey is much more than just a reservation system. Join ReservationKey and gain access to the entire user community where you can learn from and help others. Create posts, add your comments, browse the community. Quickly find out about updates to ReservationKey. Fully searchable, and supports hashtagging. Manage more than just reservations. Set up daily reminders, add notes about events. Or create reminders on the fly. Easily mark reminders as completed. Never forget important events in your area. 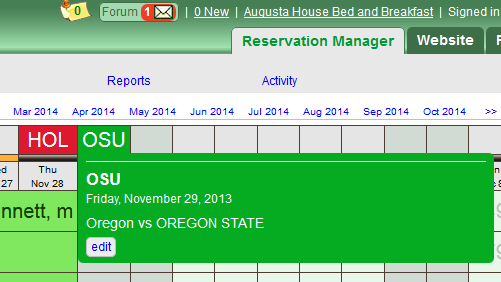 Conveniently listed above the internal calendar. 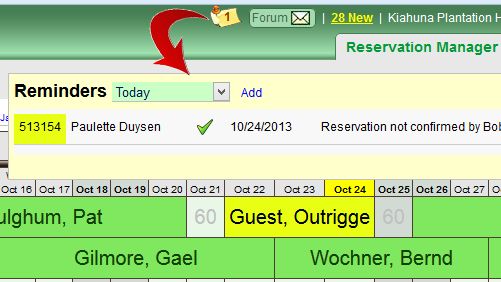 Use for events, notes, scheduling; the choice is yours. You're on number 10 of 24 reasons to use ReservationKey. "Oh, I like ReservationKey. Such fun to use it. Just took the first reservation today from the kitchen using a laptop and phone headset. Whooooeeeeee! Thanks again. Totally awesome."